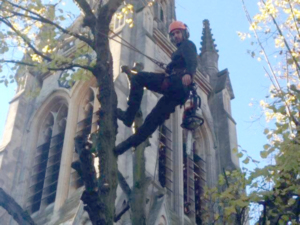 Lanacre Tree Care in Caterham have been servicing the area for over 20 years and have proven to be highly-skilled and reliable when it comes to all professional tree care services. We offer best-in-class tree reduction and tree pollarding accross the local area, expanding throughout Surrey and South London. Trees in Caterham need caring for and we offer a diverse set of services such as crown thining and tree pruning for all of your tree care needs. Lanacre Tree work Caterham's expert and qualified tree surgeons in Caterham provide top class tree care for your complete piece-of-mind. To learn more about the professional tree care services we provide in Oxted, Caterham, Warlingham, Coulsdon and many more places, please see our what we do section.